Today is Pride in London. As an out gay Londoner, it’s a fantastic event where the LGBT+ community brings central London to a standstill with a colourful parade and celebration of all aspects of the community. Originally it started out as a protest march, demanding equal rights for the community; I’m very glad that over the years we’ve gradually won a lot of the rights that we were after, however I believe it’s still important to take part and be visible for those that aren’t confident about the sexual orientation or gender identity. I will absolutely be taking part in this year’s festivities, marching in the parade. I’m sure also there will be a few drinks with some friends later to celebrate as well. However I felt it was worth an article on those travel companies engaging with the LGBT+ community, and those not. A few weeks ago, I did a survey of those organisations publicly supporting Pride on Twitter. There were some surprising and not so surprising results. What was clear though, that of the British airlines, Virgin Atlantic (and their partner Delta) were the clear leaders. They have a blog post about how they changed their brand identity for Pride, whilst still ensuring it was appropriate to their corporate image. That’s a huge statement of support from a major global airline and contrasts with the other carriers such as British Airways, EasyJet and RyanAir. I tweeted all of them to see what they were doing for Pride in London and got zero response from any of them. 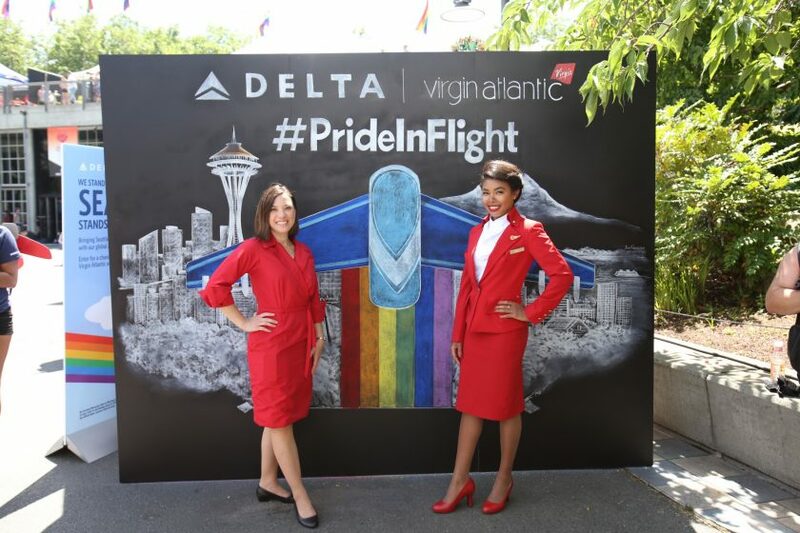 I find that doubly disappointing – I could understand that Virgin and Delta may have taken the industry slot for airlines at London Pride, however I would have expected responses from each of them detailing the work that I would assume their employees do with the LGBT+ community. Even a link to their corporate social responsibility policies would have been nice. What’s interesting is that each of them have large LGBT+ communities within their own employee groups – perhaps they should look to these to understand how they can best leverage their own assets to grow and enhance their brand image. Although I guess in the case of British Airways at the moment, with the strike by their Mixed Fleet crew, and their other brand issues, it’s not surprising that they haven’t managed to reach out effectively. 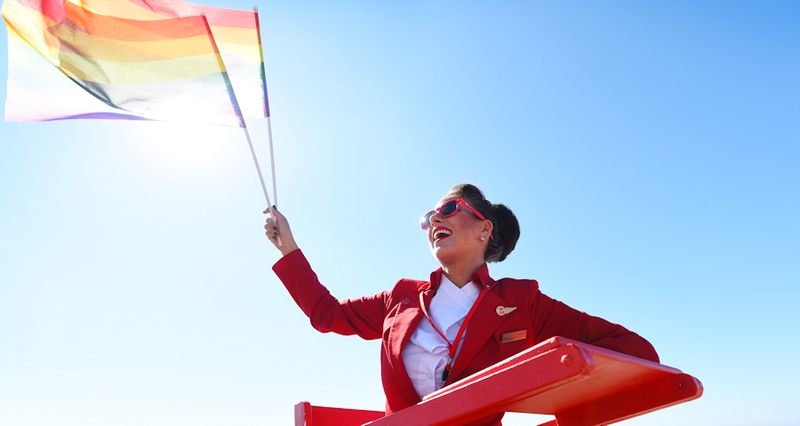 So kudos to Virgin Atlantic and Delta. It’s awesome to see you as out and proud supporters of the LGBT+ community! Previous Post: Double-bad news for Virgin Trains customers. Next Post: aLoft London ExCeL.